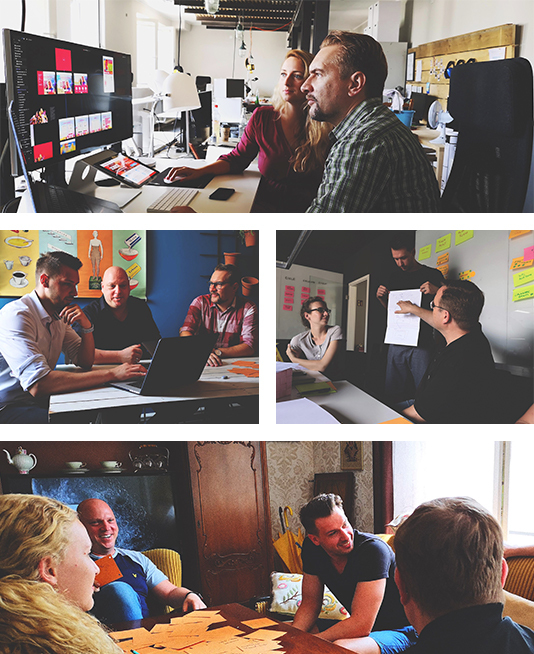 We are an interdisciplinary Team for digital product development within innogy, one of Germany's largest energy companies. We build and validate web applications and services that provide an easy and valuable user experience. We make decisions as a team and are jointly responsible for the success of our projects. To ensure that we build products and services that provide real value to users, design thinking and human-centered design form the foundation of our work. Next to the user, measurable results and data drive our decisions. The Bermuda Digital Studio guides the entire product development process starting with ideation up to a launching a product. To ensure a lean process, we work in short sprints delivering shippable prototypes which we can test with real users in each stage.